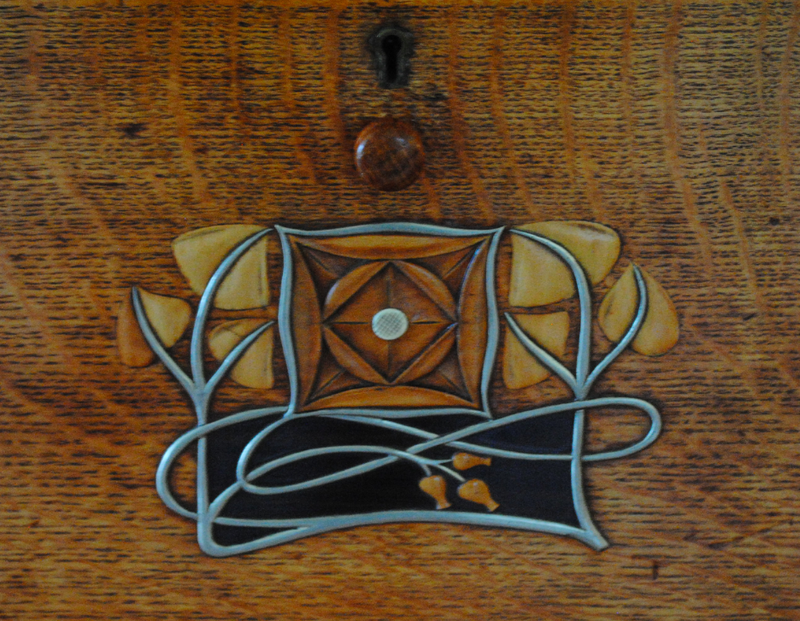 In the White Drawing Room at Blackwell Arts & Crafts House is a bureau designed by the British architect MH Baillie Scott. Dating to c1901, the bureau is made of oak inlaid with boxwood, ebony, holly and pewter. 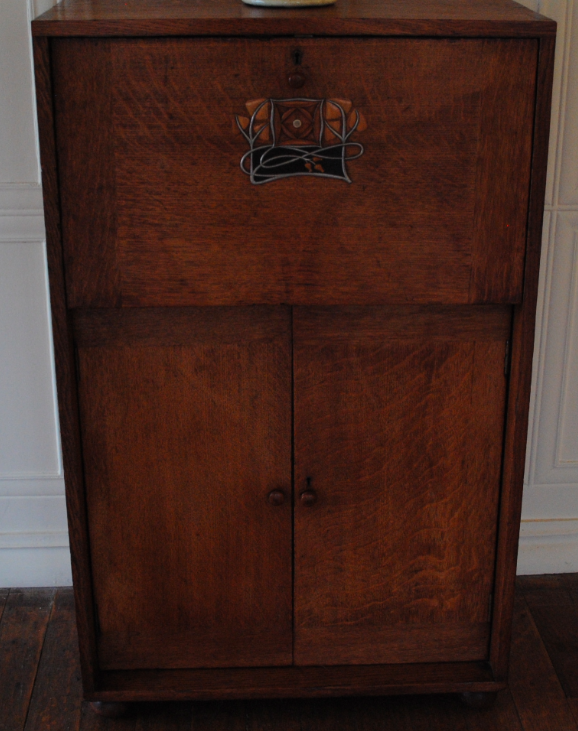 This piece of furniture was manufactured at the Pyghtle Works in Bedford and was priced at £8 8 shillings with the option to purchase in a more economical form with the omission of the inlaid work and use of painted pine instead of oak or mahogany.